Is a "dry January" right for you? For many Americans, starting the New Year on the right foot means committing to a "dry January," or giving up alcohol for the first month of the year. Experts say it can be a good idea. "A month of Thanksgiving, holiday parties and New Year's typically means a lot of great food and lots of alcohol involved with all of that, so a good way to start the new year is to abstain from one thing or another — and certainly alcohol can be one of those vices that you choose," Dr. Neha Vyas, a family physician at Cleveland Clinic, told CBS News. She notes that abstaining for one month at a time is also a more feasible goal than going cold turkey forever. Giving up drinking for a month may offer a number of health benefits. For starters, alcohol can disrupt your sleep so not drinking may lead to more well-rested nights. "We know that alcohol interferes with REM sleep so abstaining from that can improve it and cause you to sleep better, which can have secondary benefits like increased productivity, and allow you to wake up early and not be groggy so you can take on the day or maybe even get some early morning exercise in," Vyas said. Alcohol also has a lot of calories, so cutting it out will help those aiming to shrink their waistline. "Abstaining from alcohol means you can easily cut 150 calories per drink, so multiply that by however many drinks you have in a week and there you go. There's weight loss right there," Vyas said. Drinking alcohol also affects your immune system, making you more susceptible to colds and other viruses, so abstaining can help you fight off germs more effectively. And since alcohol can lead to dehydration, cutting it out may lead to improved skin in a typically dry winter month that can already take a toll on your complexion. Of course, over the long run a drinking habit can have much more serious health consequences, increasing the risk of liver disease, heart disease, stroke and several types of cancer. In one recent study, even moderate drinking was linked to lower brain function over time. Once you decide to make it a "dry January," it's important to have a plan to help you succeed. "The best thing you can do is plan ahead of time. If you're going to a friend's house or out to dinner and know others will be drinking, know exactly what you're going to do or say," Vyas said. "If you like to end your day with a glass of wine at dinner, know what you're going to do in place of the wine. Know if you're going to have a non-alcoholic drink, a seltzer water." She warns that most signficant health effects won't be seen immediately but suggests that starting with a month cutting out alcohol could jump-start further change. "Evaluate your reasons for why you're abstaining for a month – whether it's a social reason or a weight loss reason – and then go from there with making new goals," Vyas said. Should anyone not do a "dry January"? People who are addicted to alcohol may experience withdrawal symptoms. Vyas advises speaking to your doctor to come up with a plan to lessen your alcohol intake and potentially seek professional treatment. Millions of Americans who are not alcohol dependent still drink to excess. 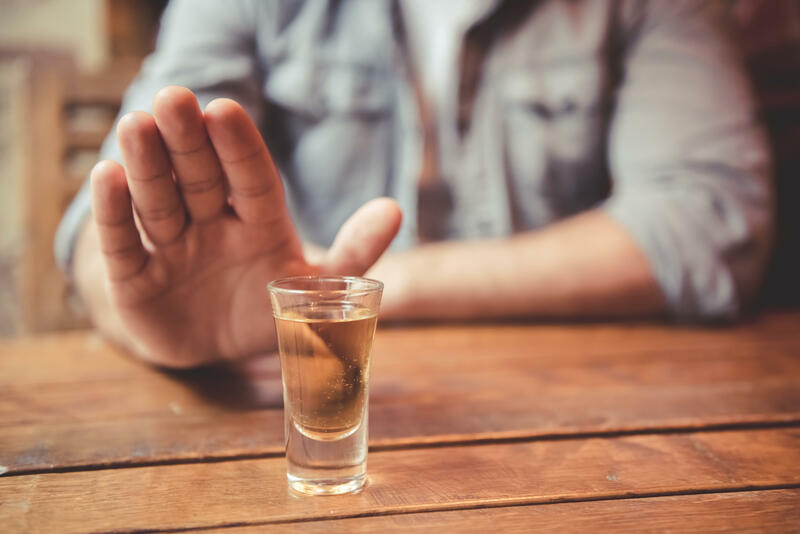 The National Institute on Alcohol Abuse and Alcoholism defines binge drinking as a pattern of drinking that brings a person's blood alcohol concentration (BAC) to 0.08 grams percent or above. This typically happens when men consume five or more drinks, or women consume four or more drinks, in about a two-hour period. While most people who binge drink are not alcoholics, if you do so regularly, you may be at risk for alcohol dependency.